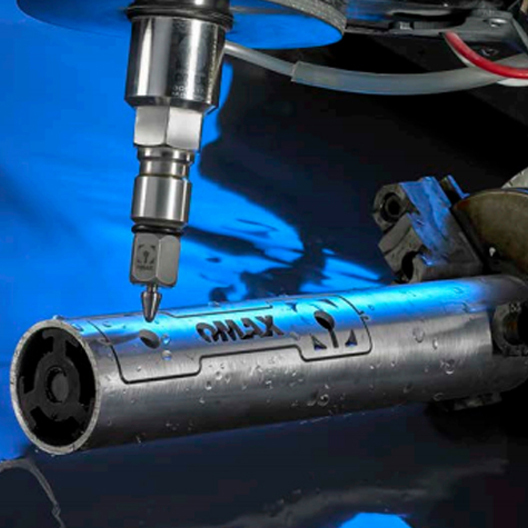 The Rotary Axis is a robust, water resistant submersible rotary head that allows the abrasive waterjet to cut 6-axis* paths to create complex 3D shapes in tube, pipe, and bar stock. 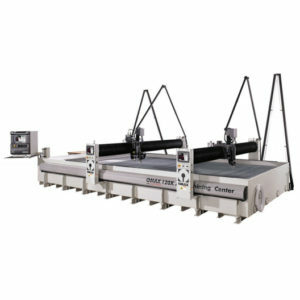 Constant rotational control allows for continuous cutting around a shape. 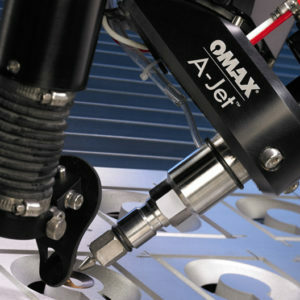 Advanced software features in the Intelli-MAX Software Suite grant the ability to cut complex shapes and angles when used in conjunction with the A-Jet® articulated cutting head. 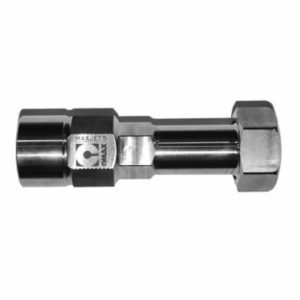 Precision indexed rotations offer accurate cutting of multi-faceted shapes and other geometric-shaped materials. 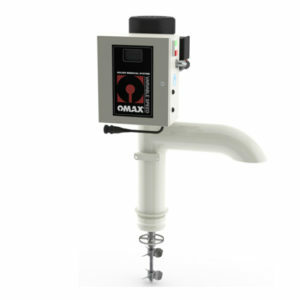 The Rotary Axis can be mounted on any OMAX JetMachining® Center, significantly expanding the cutting capabilities.